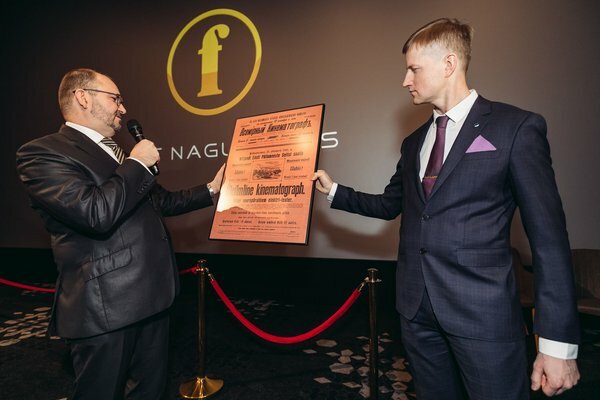 Forum Cinemas’ Centrum Cinema in Estonia has received an award for being the most significant addition to the city last year, as it was voted ‘Act of the Year’ by Viljandi’s town council. The new two-screen cinema, which opened in March 2017, welcomed over 100,000 visitors over the course of the year. It offers guests cutting edge technology and premium comfort to create the ultimate experience, with an extensive film selection and various cultural screenings, including live performances from the National Theatre in London, the Metropolitan Opera, and the Bolshoi Theatre in Moscow, as well as screenings of popular concerts. The award was jointly received by Forum Cinemas and the developers who worked on the project, representing Centrum Shopping Centre. There was tough competition for the award from the more recently built Ugala Theatre, however Forum Cinemas secured the majority of the council’s votes.